Bungalow renovation by Peter Johns. The era in which your home was built can be an indicator of the direction your renovation will take, and also, potentially, of the issues you may encounter. Sturdy kauri classics, New Zealand timber villas have a central hallway with a kitchen and bathroom in the ‘lean-to’ portion. If the home has never been renovated, it’s likely to need re-piling, rewiring and insulating. 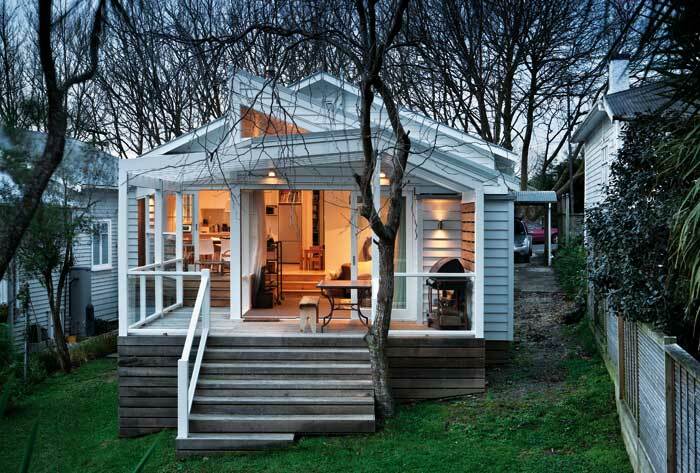 Lean-to sections are frequently replaced with new open plan living spaces that provide a better connection to the garden or backyard. Moving the living space to the rear can enable front parlours to be converted into a generous bedroom, or they can remain as an alternative living room. Council requirements for on-site parking will usually be triggered by a major renovation, and can have a major impact on villa sites. 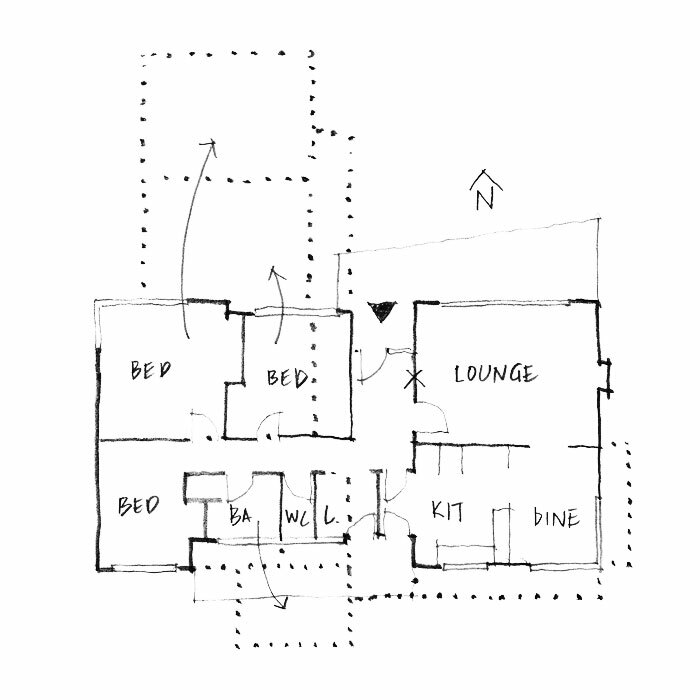 Entry into a bungalow is often straight into the living room, which isn’t always the best place for light since bungalow plans took no account of solar orientation. Dark stained ceiling panels and other timber features can also add to the sense of low light and heaviness in rooms, but also contribute character. How you manage this relates to whether you wish to preserve some of the old or modernise everything. Both kitchen and bathroom are within the main structure, and could be too small for modern needs. Planning an extension will be more complicated than say, a villa, and needs creative solutions that might extend in multiple directions. The original First Labour Government state houses are usually well-built but can incorporate some darker, uninviting rooms with high window sills and tiny wardrobes. 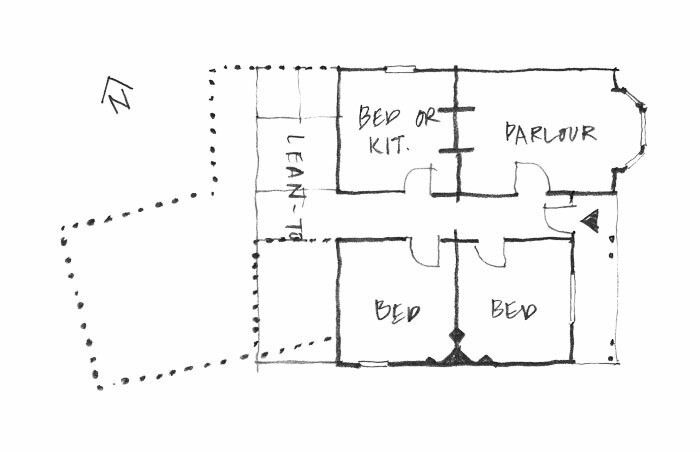 The need to increase room sizes within a complex plan can encourage interesting and unique design solutions. As most are set well back from the road frontage, you could also consider extending towards the street as well as the back boundary. Many houses from 1960s and 1970s New Zealand suburbs are small and rectangular, having an L-shaped living room and kitchen that wrap around a corridor leading past small bedrooms. They have no heritage protection and can be extended in many versatile ways depending on placement. You might consider ‘popping’ the ceiling up to the roof to get past the typical 2.4 metre height. If you have a particularly interesting house from this vintage, there may be some items worth retaining such as built-in furniture and rimu-panelled feature walls. 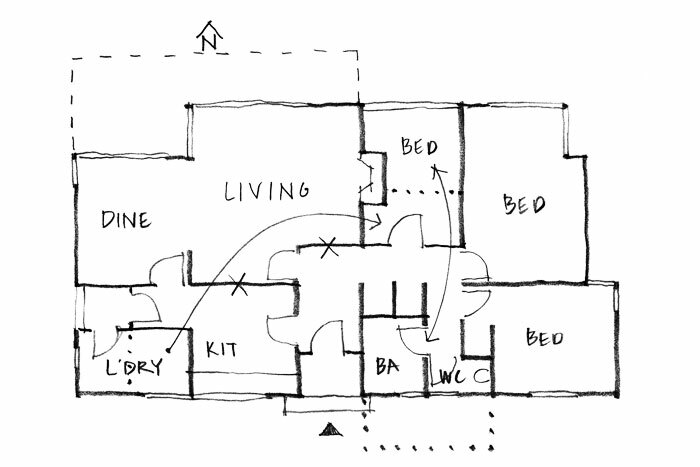 Homes built since the 1950s have had increasingly unique floor plans that take more account of the site and passage of sunlight. They are characterised by open plan design. Living areas have plenty of glass and flow into dining and kitchen spaces. Bedrooms tend to be fairly small. Exteriors are usually weatherboard but some may include brick veneer. There is no standard way to extend one of these homes. Therefore a unique design and plan will be required. Traits include a lack of eaves and rendered finishes on fibre cement. Many houses from this period suffer from leaky building syndrome due to water penetrating through hairline cracks and deck connections into the pine framing.This need not be cause for concern as the cost of fixing it up may be more than compensated for by the reasonable purchase price. Do check with an architect before ruling this out.